Luis Leao Pinto refused to give up the crown of ‘King of the Himalaya’ for the second time in 2015 after winning the crown earlier in 2013. The top three riders in the Solo Men’s category – Luis Leao Pinto, Andi Seewald and Pau Zamora were stiff competition for each other as they competed neck-to-neck in the 600km long 7- stage race. The riders experienced a net elevation of approximately 50,000 ft as they rode though seventy degree steep uphills, uncontrollable downhills, cobbled pathways and single tracks other than the tarmacs, the meadows, the streams and the villages. 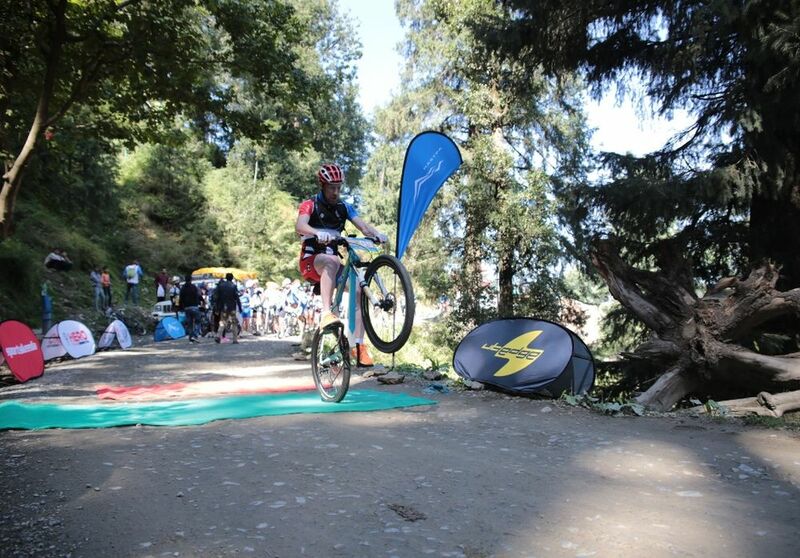 Considered to be a very challenging race, the 11th edition of Hero MTB Himalaya started out with 68 riders out of which only 54 have completed the race. The difficulty of the race being measured by the altitude of the race tracks, something even the most seasoned riders are not used to. In the spirit of sportsmanship, the three leading riders – Luis Pinto, Andi Seewald and Pau Zamora finished the race at the same time at Mashobra. Luis Leao Pinto won the overall leader – King of the Himalayas in the Overall & the Open Men’s Solo category. Catherine Williamson (UK) emerged as the overall winner in the Open Women’s Solo category followed by Ilda Periera (Portugal) and Laxmi Magar from Nepal. Reimund Dietzen, the veteran pro-rider is the winner in the Master’s solo category. 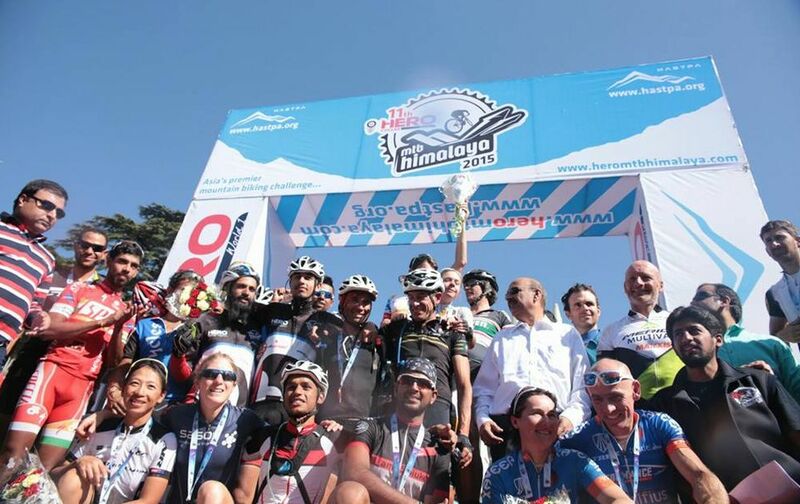 With the quest to make Hero MTB Himalaya 2015 bigger and better Hero MTB Himalaya dedicated team has successfully notched international famed cyclists. In the 11th edition of race highest international cyclists participated in the event. Over 40 riders participated in different categories; 14 in Open Men Solo, 6 in Team of Two category, 16 in Open Master Solo and 6 in Open Women’s category. Seeded World No. 9 Luis Leao Pinto – winner of Hero MTB Himalaya 2013, Catherine Williamson – winner Cape Epic 2013, Pau Zamora – seeded no.12 in Cape Epic, Reimund Dietzen – former Tour de France rider were some of the esteemed riders participated in the race. 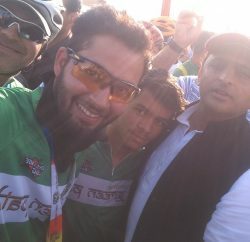 Narayan Gopal Maharjan – winner of MTB Himalaya 2012 and Ajay Pal Chhetri – winner of MTB Himalaya 2011 were other previous race winner participated in the race and made this event bigger. The 11th edition also witnessed highest participation from international women. 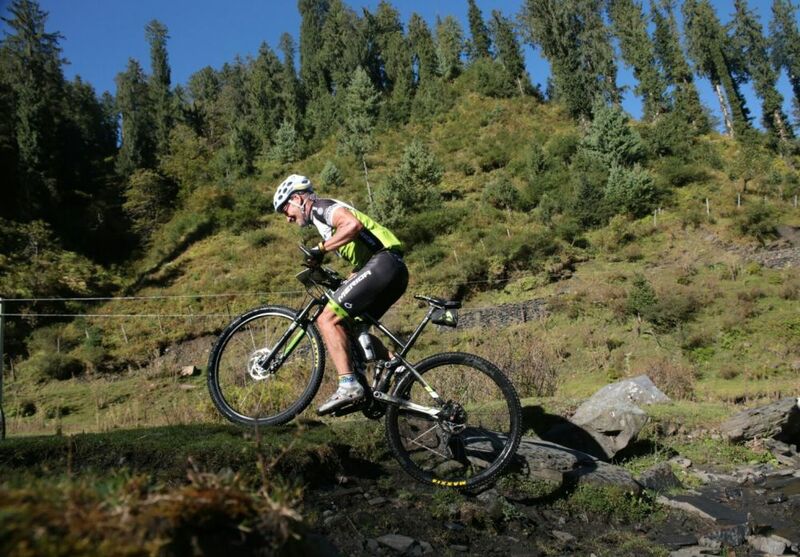 There were six international repute women riders competed in the Queen of Himalayas crown. 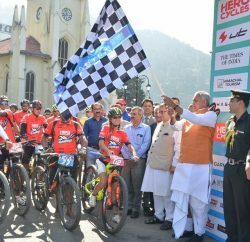 In totality, there were 88 riders including Indian solo riders, riders from Hero Action Team – India’s first professionally managed MTB team and over 40 international riders in various categories. 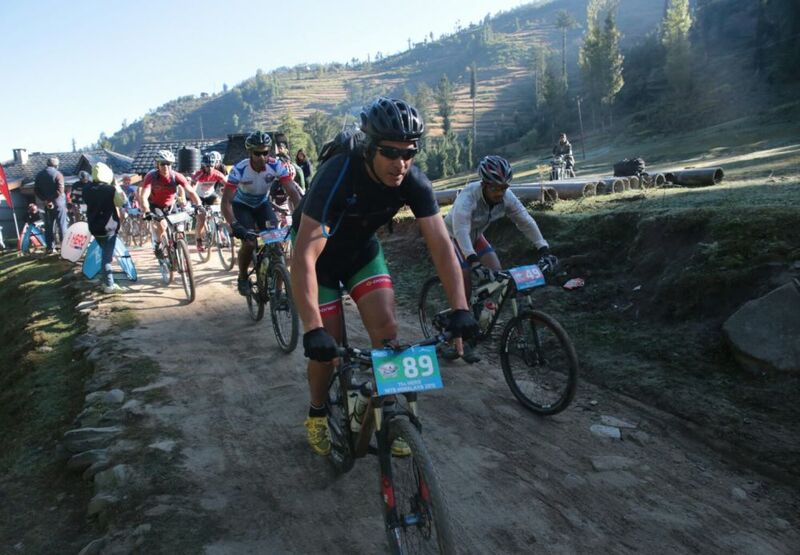 Organizers also claimed to provide better and tougher routes in the Hero MTB Himalaya 2015. The total vertical climbing of the race was about 15000 m or 49212 ft (approximate) over 8 days made race one of the highest in the world. 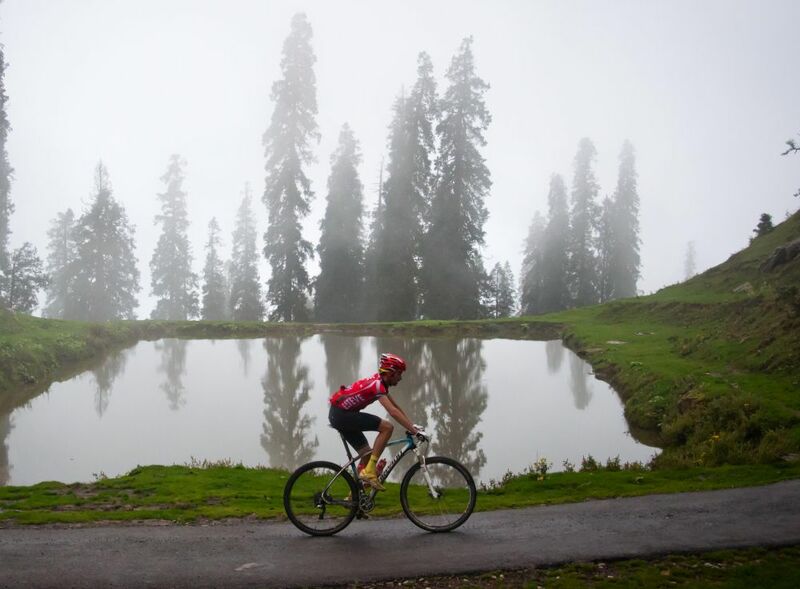 The race covered forest tracks, rocky paths, apple orchards, pine and cedar forests to ultimately reach its highest point- the mighty Jalori pass situated at a height of 3250 m above sea level.